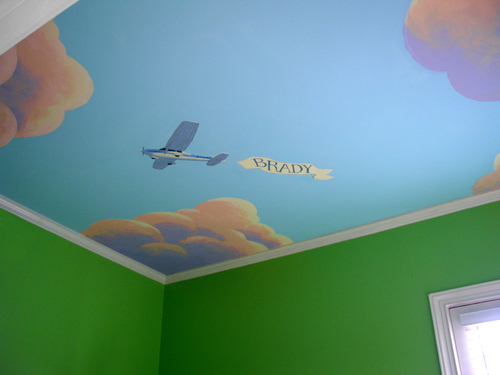 A ceiling mural for a small baby's nursery. We included his dad's airplane in the design, pulling a banner with the baby's name. This mural was about 8 x 10 feet and took 12 hours.